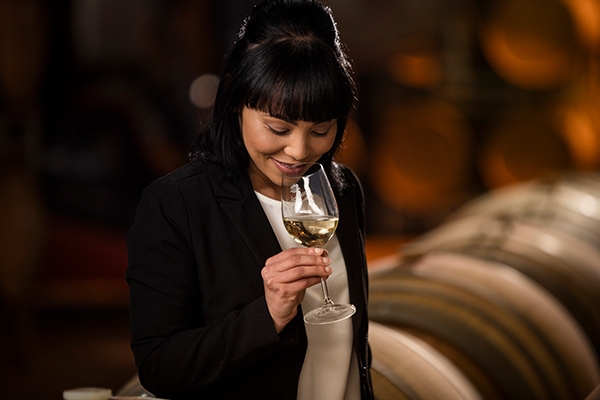 As our White Winemaker, Elmarie Botes enjoys worthwhile challenges, nature that sustains us all and a really good wine; its no wonder she fell in love with the idea of winemaking while on a cellar tour as a young student. Born, raised and educated in the Cape Winelands, Elmarie admires the strong female figures in the wine industry who forged a path and place for women winemakers just like her. Under the tutelage of cellar-master Andrea Freeborough, Elmarie is motivated and driven on elevating Nederburgs immense standard in winemaking to new heights.